and radiant as it reinforces its elasticity. With Cattier Organic Firming & Modeling Body Milk, your skin is smoother and gently wrapped in a soothing perfume of aloe vera. CATTIER Organic Firming Lotion for Body improve your skin's suppleness ! 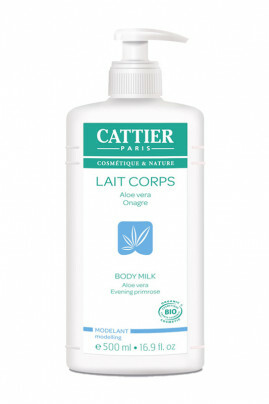 Apply generously body milk all over body concentrating on drier areas. Massage until complete penetration. CATTIER Organic Firming & Modeling Body Lotion reinforces your skin elasticity !